DRU has introduced a new wood stove under the Dik Geurts brand this spring. Odin is a circular stove with a multitude of installation options. 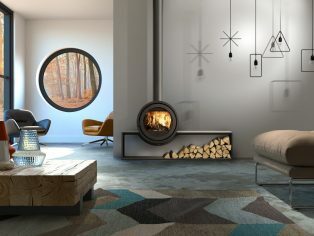 It is available in 2 sizes, 100 and 120 cms diameter and there are four different versions; a wall-mounted stove, a stove that is suspended from the ceiling, a stove that is mounted on a ‘plateau’ and a ‘tunnel’ stove that can be viewed from both sides. Odin generates a stunning log fire with swooping, curved flames, which are controlled by the unique Dik Geurts ‘Thermo-glide’ air slide. The exterior is finished in dark anthracite, with matching flue covers and the interior is lined with heat resistant vermiculite. Odin has the option of external air connection. This means that air for combustion is drawn from outside the building rather than inside the home, resulting in greater comfort and higher energy efficiency. Odin will be available from approved DRU fireplace retailers from spring 2017. The name DRU stands for Diepenbrook & Reigers of Ulft, which was founded 1754. Its UK subsidiary, Drugasar, was formed in 1975, with the name being a combination of DRU, gas and air. The main manufacturing centre is in Duiven, near Arnhem, Netherlands, with a further subsidiary in Belgium and distributors throughout Europe. 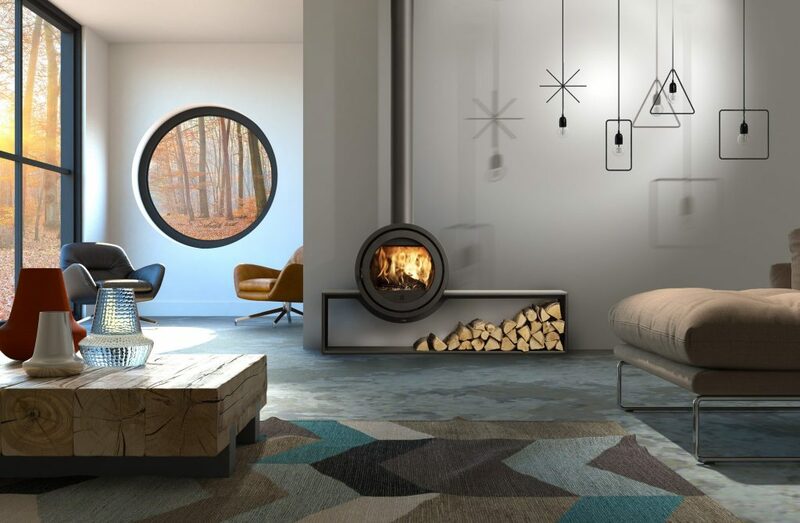 The company’s product range includes high end and mid-range gas fires, contemporary wood fires and stoves, cast iron stoves, functional gas wall heaters, fire surrounds and other fireplace accessories. DRU is ISO 9000 accredited and its products are all CE approved. As well as being a leading brand in the UK fireplace industry, it is also a major supplier of heating products to local government, schools, churches, military camps and industry.